The Old Hindustan Tibet Road (OHT) a delightful jeep safari expedition -as the name says, this excursion takes you to captivating areas and roads where the history talks about the times of yore. This expedition tells about a way where exchange and trade have been commuting ever since the known history. Laid in nineteenth -century by the Bruisers, this thoroughfare was used to connect Rampur, a major and old entrepot with Tibet for doing business through Shipki La border post located on the on the India- China border. 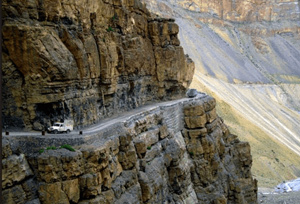 While passing through this road, you will envision and experience the rich past of this region - an astounding valley bordered by the Trans -Himalayas and Kinner Kailash range, also the roads here are flanked by the river and numerous Hindus and Buddhist rambling over for selling and buying. Today, the new NH- 22 has supplanted the bridle pathway; however, its old world charm remains intact. Even now, the forest and the burst of scarlet speckled over the tree can astound and take anybody's breath away. This thrilling voyage to retrace the history begins from Kasauli, and heads towards Narkanda via Shimla. As we approach Shimla, segments of the road were lined with striking bottlebrush tree, also with the flower. On this journey, we will also pass by the Manali -Leh classic regions like Nako, Kalpa, Kaza, and Tabo. 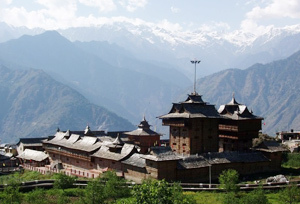 The trail will also pass through the Bhimakali Temple in Sarahan and Daranghati sanctuary in Shimla. You will need roughly 16 days to travel on this path, until the end at your disposal. For this trail you will need some strength to deal with and get acclimatize with the high altitude and weather conditions, this trail is not meant for weak hearted people. If you wish to explore more and want to expand the trip then you can opt to visit the Spiti Valley and traverse Manali passing all the way through the Kunzum La. To know more details about this fascinating jeep safari expedition, see the detailed itinerary below. From the New Delhi, Railway Station you will catch the Kalka Shatabdi Express departing for Kalka. This day will be your first day of this fascinating Jeep safari expedition. After this 4-hour enthralling train journey, you will board the jeeps, which will take you to Kasauli, a charming hamlet with picturesque surrounds located in the Solan district. We will have scrumptious dinner and stay overnight at a hotel in Kasauli. We will start this wonderful day, after a healthy meal. On this day, our first stopover destination of the day will be Shimla on the way we will be crossing Gambhar Pul and Sabatho, a very old army containment region. This course from Kasauli to Shimla has immense historical importance in the history of Indian business trade and is presently scarcely used by the people. Tonight we will stay in a hotel. Fasten your boots and brace yourself as today we are going to explore and experience the inner parts of the Old Hindustan Tibet Road while traveling from Shimla to Narkanda. On this trail, we will be covering a distance of 65 kilometers, from Shimla to Narkanda, on the course, we will be passing through a few small villages like Theog, Matiyana, Sanjauli, and Fagu to reach Narkanda. During your 65 km ride, from Shimla till Narkanda, you will pass by some tiny villages like Sanjauli, Theog, Fagu, and Matiyana, to reach Narkanda. 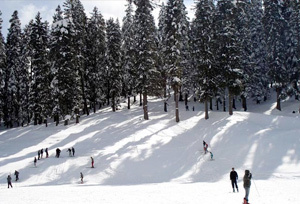 This place is reputed as a stupendous ski resort; Narkanda is famous as eccentric winter destination in India. It is surrounded by the magnificent mountain ranges; the city of Narkanda provides a magnificent vista of the fabulous western Himalayan Mountain Range. After enjoying, we will halt for a relaxing coffee/tea break for about 15 to 20 minutes at Narkanda. Then we will leave the modern Narkanda -Rampur thoroughfare and begin to proceed towards OHT road to reach Baghi. While traveling all the way through the OHT road, you may experience an uneven and bumpy ride for the next 175 kilometers till you arrive at Baghi, a little hill station. Slender and uneven yet picturesque trail will continue till Taklech. After reaching Taklech, you will witness a fabulous view of the Great Himalayan range and Chanshal Valley will welcome you with open arms. The highlight of today's expedition is the dense forest of Chinar trees, which will accompany all through the way. Our next and ultimate stopover destination of the day will be Taklech; after that, we will be crossing a river torrent to reach a charming small town called Kareri, the last destination of this days trail where we will be having delicious dinner and stay for overnight. After having wholesome breakfast; we will begin today's trail and drive uphill towards Daranghati through Kashapaat village. On the way of this journey, we will pass through a village Mashnu, after that we will drive upwards to reach the Daranghati Pass. The drive from Kareri to Mashnu is charming and as we continue the trail we will gain altitude from Mashnu and drive up the hill to the Daranghati Pass all the way through more narrow and uneven road. As we drive ahead and gain altitude the valley opens its colossal glory and exquisiteness. From the distance, a fort -like structure is noticeable, which is a shrine of the local deity. After covering a few kilometers on the trail, you will begin noticing the beautiful bird species like Tragopan, Monal, Koklas and Kalij, which implies that you have entered into the sanctuary. After exploring and spending some time at the Daranghati Sanctuary, we will drive towards the Daranghati Pass all the way through narrow and bumpy road. After traveling for a few more kilometers, we will reach the top of Daranghati from where; you can spot fabulous view of a far-off village Kasha Pat and the neighboring mountains. Enjoy and capture the captivating view of the mountains from the Daranghati top and then later we will start driving downward towards Majholi. After crossing Majhol, we will continue the journey keeping the vehicle to the right side to reach Sarahan. The saga of the old HT road lies not only in the exhilaration of retracing the legendary route trod by lots of adventurous feet additionally in actual fact that it chronicles in its course a noteworthy shift in the climate, terrain, vegetation, people and the culture. Sarahan is well-known for its stately Bhimakali Temple and has a few good small size hotels. After spending some time and seeking the blessing of divinity at the Bhimakali temple, we will start our 7th-day driving expedition to reach our next destination Kalpa passing through Chaura, Ponda, Taranda, Nichar, and Tapri. On this day, we will continue the expedition via a new road. 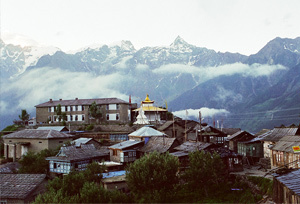 Upon your arrival in Kalpa, you will be greeted by the captivating vista of the fabulous Kinner Kailash Mountains. We will have scrumptious dinner and stay overnight at Kalpa. After so many thrilling and action packed days, now it is the time to unwind and budge in the harmony of exquisite nature. On this day, we will be going for a pleasurable sightseeing tour to the fascinating Sangla valley in Kinnaur and Chitkul, which is the last hamlet located on the Indo -China border. After the sightseeing tour, we will come back to Kalpa through Rekang Poe. Arrangements made for scrumptious dinner and overnight stay in a Kalpa Camp. On this day after crossing Kalpa, we will start driving downward to reach Jangi passing through Pangi village and Aren. After a 16 kilometers drive from Aren, we will reach Kanum monastery, which is the abode to numerous sacred texts, in the 'Hungarian Christian monk' -Alexander Csoma studied these sacred manuscripts. After that, we will visit Pooh in Kinnaur from where we will road go downwards again to congregate the Sutlej at Dubling, and then we will begin the 15 kilometers ascent straight drive in the direction of Namgia village, the last hamlet bordering Tibet before the Shipki La. Next destination of today's trail is Khab, where the River Spiti and River Sutlej congregate. From Khab, we will drive upwards to reach Nako, a small village situated at an elevation of 3662 meters with captivating backdrops. 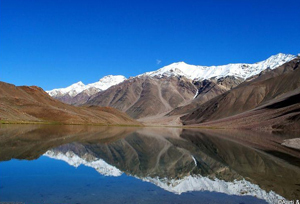 In Nako village, there is a pristine lake and magnificent monastery dedicated to the Lord Padamsambhava. We will be having scrumptious dinner and stay for overnight in Nako. After visiting and exploring the monastery in Nako region, we will continue the trail and drive towards Tabo passing through Maling and Sumdo. On the way of the journey, you will cross through a small village Tashigang, which is supposed to be the meditation ground of Guru Padmasambhava. Just a few miles from Tashigang there are several small waterfall and caves, which were the habitat of fairies. The next stopover of today's trail will be Sumdo, from where you need to acquire the permit to travel in the further region. This region is located close to the China border; therefore, this region remains under the high vigilance of the army. After an exhausting drive of 100 kilometers from Tashigang, you will reach Tabo. Thereafter, you will transfer to a hotel in Tabo and unwind. In the latter half of the day, we will visit the group of monasteries, which were supposed to be established in 996 AD. This spectacular prehistoric monastery still preserves its original decoration and incredible art images intact. This monastery is considered to be the oldest constantly functioning Buddhist monastery located in India and the great Himalayas. It is also popularly well-known as the 'Ajanta of the Himalayas'. We will be having luscious dinner and stay for overnight in the hotel at Tabo. This day in the morning, we will start the trail will go to explore the spectacular caves in Tabo, where once the great sage used to meditate and pray. After having wholesome breakfast, we will start the journey and move forward towards the Pin Valley passing through the Dhankar Monastery. 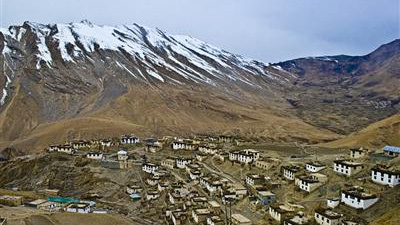 During the seventeenth- century, Dhankar was the capital of the Spiti Valley Kingdom, Dhankar was the seat of the rulers of the Spiti Valley, the 'Nonos', who had the right to cultivate on the nearby government lands and require to maintain the fort in repair. Positioned at an altitude of 3,894 meters in the striking Spiti Valley between the Kaza and Tabo, the complex is situated on 300- meters extended ridge, overlooking the convergence of the River Pin and River Spiti. After discovering and spending some time at the Dhankar Monastery located in charming surrounds, we will head forward and drive in the direction of the Pin Valley on the way passing through Kungri, another notable monastery in Himachal Pradesh. After the visit to the monastery, we will depart for a small tour to Mud; it is the last hamlet of the Pin Valley, from where the trail routes towards Kullu and Kinnaur starts and after continuing trail further, we will reach Pin Parvati Pass and Bhaba Pass. Later, we will be crossing a river at Attargu and then drive for a distance of about 14 kilometers to reach the Lhalung Monastery situated in the Lingti Valley. This Monastery is also known as the Golden Temple by the people of the Buddhist community; Lhalung Monastery is one of the ancient monasteries established in the Spiti Valley in the late Tenth-century CE by the 'Rinchen Zangpo' a great Tibetan Buddhist Lotswa who was sent by the king of the western Himalayan Territory of Guge. After paying a visit to this prehistoric and prominent monastery, we will proceed and continue the journey to visit Kaza, which is located at a distance of 10 kilometers from the Lhalung Monastery. Tonight we will stay at a hotel in Kaza. After having healthy breakfast; we will start our today's Trail and drive towards the Kee Gompa, Which is followed by a tour to Hikkim, Langza Kibber Village, and Komic. 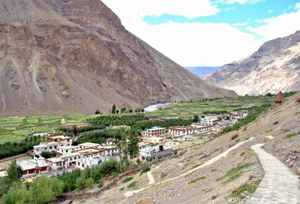 This day, we will be visiting and exploring the famed and the biggest monastery of Spiti Valley, the Kee Gompa, and Hikkim and Komic, which are world's highest villages connected with the motorable road. After spending the day exploring the prehistoric monasteries of the Spiti valley, we will return back to Kaza hotel. We will have delicious dinner and stay overnight in Kaza. Embrace yourself for a 98-kilometer long drive towards our next destination Chandratal Lake all the way through the Kunzum Pass. The expedition from Kaza up till the Kunzum Pass will be picturesque and spectacular as we will be passing through a desolate landscape, quietly flowing river and far-off villages. On the way, the herds of ibex can be seen in the desolate shining mountains. 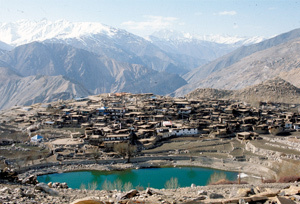 Losar and Hansa are two exquisite small villages on the roadside giving the sense of the lifestyle in the remote areas. After covering a few kilometers from Losar, we will the drive up the hill to reach the Kunzum Pass located at an elevation of (4551 Meters), which offers the incredible views of several towering mountain peaks and spectacular backdrop from the top. After reaching a certain point on the trail, you will leave the jeep and start hiking to reach the Chandratal Lake, where the arrangements are made for dinner and overnight stay. On this day, we will drive towards Manali passing through Batal, a village located on another side of Kunzum La, Chatru, and Chota Dara at the base of the famed and spectacular Bara Shigri Glaciers. After continuing driving for a few kilometers, we will reach the Rohtang Pass and then from here we will drive downwards to reach Manali. After reaching Manali, you will board the AC Volvo Bus scheduled at 16:30 PM leaving for Delhi. It will be an overnight journey by bus. In the early morning around 07:00 – 08:00 AM, we will reach Delhi.